I’m hoping the painter has finally completed work at the lodge. 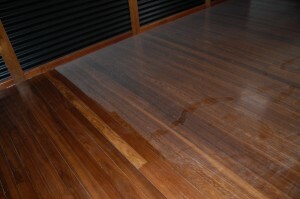 Vacuuming 155 square metres (1680 square feet) of wooden floors is a pain in the arse. I think I need to hire a floor polisher now. This entry was posted in Lodge, Photography and tagged cyclone yasi, Lodge on 2011-11-10 by pete.